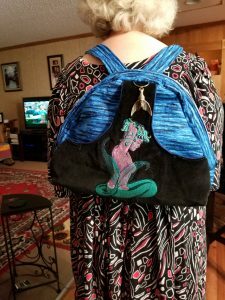 Great Bag Karen – perfect for the tow ladies – the Mermaid and the Model! I’ve always had a soft place in my heart for this mermaid. I did her in Dec, of 2003 – I started the website in Nov. of that year so I was still very new to all of this. I remember how excited I was when I discovered I could make her tail sheer . LOL I was afraid someone would be offended so back then I added something about if they would prefer, the tail could be stitched two or three times. 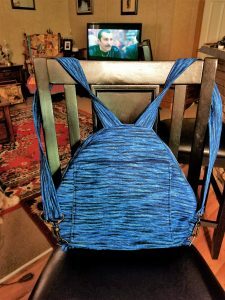 I read with interest in your latest Blog that one of the ladies told how she stitched all her embroidered designs on nylon mesh and then attached them to her item of choice. WHAT is meant by nylon mesh? Would it be equivalent to Vilene (but this would dissolve)? I did note further in the article concerned that a mention is made of Florian nylon mesh – but this does not mean much to me as it is not a product known to me in South Africa. Your comment would be much appreciated. I am in the process of gearing up to embroider a selection of fish on a cushion cover and the planning of hooping all these individually is no mean feat. So the idea presented by the lady concerned appealed to me in a big way!! Floriani No Show Nylon Mesh Fusible is a 1.5 oz sheer cutaway available in black, white and beige. Unlike traditional cutaway, this product will not shadow through on light colored fabrics such as knits. Its softness makes it ideal for children’s clothing and baby garments. 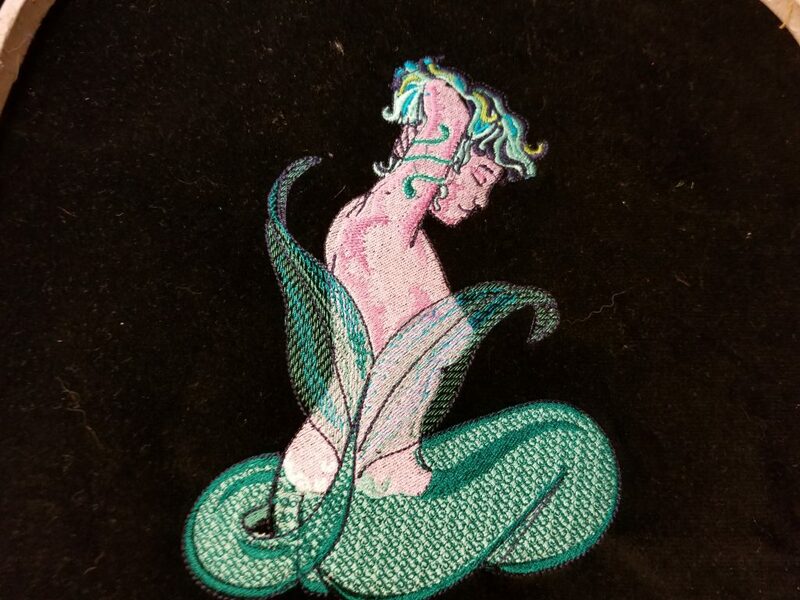 The uniqueness of the fusible version makes this product a staple in your embroidery stabilizers. There is no need for basting or messy spray adhesives which leave a residue on the needle and machine when using this product. By fusing the stabilizer to the back of the garment, we are more successful in hooping and do not stretch the garment out of shape. The stabilizer is temporarily attached to the entire area where the embroidery will be stitched unlike spray adhesives which only “spot” tack and allow shifting of the fabric. This product is also available in a non-fusible version. I will ask Marge to read your comment to see if she has anything else to help! Suz answered you very well except when doing embroidery the way I explained do not use fusible. The fusible version is great but with embroidering directly on it you don’t want fusible. OCED makes a great nylon mesh. I don’t know who your supplies are in Africa but do a search for the product and I am sure you will come up with several. like I said in the article my favorite in by Floriani. If you ship from the states http://www.redrockthreads.com carries it.